A very different type of tour company, offering extraordinary, cost-inclusive, unhurried experiences that combine place, stories, sights, food and surprises . . . Encounter the mysteries of the world’s most iconic prehistoric monument before escaping the crowds on a journey into authentic England to discover castles, countryside, churches, great food & a fillet of farce. Travel down narrow country lanes past lush scenery to discover sleepy forgotten villages, churches & woods. Enjoy a fabulous English pub lunch at an ancient country inn amongst the locals before spending the afternoon languidly wandering through hidden villages, discovering their stories & past inhabitants. Every cost is included, including an utterly unique and in-depth adventure into authentic England, collection and return to all central Bath locations, fabulous lunch with accompanying drink, entrances, refreshments and travel in a luxury 9-seater vehicle. Depart 9:00am from your accommodation or outside the Bath Visitor Information Centre, Bridgwater House, 2 Terrace Walk, Bath, BA1 1LN (to be agreed before departure day). Around & About Bath create pioneering, personalised, immersive journeys for world-curious, discerning travellers looking to discover authentic England - its history, landscapes, culture, cuisine, people & places. Discover three incredible drinking houses, their stories & an unforgettable dining experience. Escape the city for an encounter with the best & breadth of English pubs to discover incredible Cold War secrets, great engineers, past lives & an award-winning dining experience. Visit three unique pubs each with their own stories to tell, each off the tourist trail. Hear their fascinating tales whilst sipping local brews or your favourite tipple. Enjoy fabulous cuisine whilst connecting with locals & like-minded travellers over drinks & food, before stopping for a nightcap at one more gem before bed. Every cost is included, including collection and return to Bath in a luxury 8-seater vehicle, an incredible two-course and a drink of choice of each location. Explore the undiscovered Cotswolds on a journey through time and place to explore stunning countryside, ancient churches & stories and unveil the forgotten story behind England’s birth. Enjoy coffee by the fire of England’s oldest hotel, learn of great Kings, ascetic saints & the story of the monks who were guardians to one of Europe’s great libraries and Abbeys that was a destination for pilgrims & scholars for over 1000 years. Journey deep into unspoilt countryside, stopping at a tucked-away award-winning country Inn for an incredible lunch surrounded by locals. 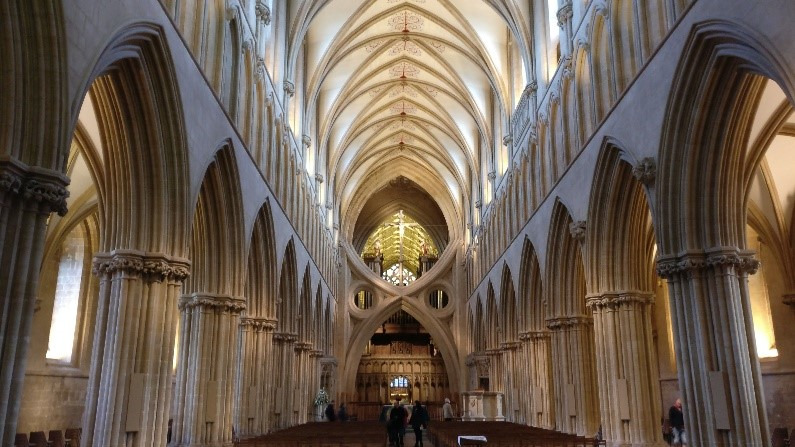 Encounter quintessential Cotswolds villages, countryside & architectural gems, still clinging to the past, before finishing the afternoon in the idyllic village of Castle Combe..
Venture to the historic city of Wells for a first-hand encounter with England’s religious & medieval past. Unveil the stories of fornicating Bishops, pious pilgrims & corrupt clergy whilst wandering through its 13th Century Bishop's Palace, gardens & Cathedral before stopping for an exquisite lunch nearby. Journey deep into hidden, undiscovered, ancient landscapes, to the world-famous gardens at Stourhead. 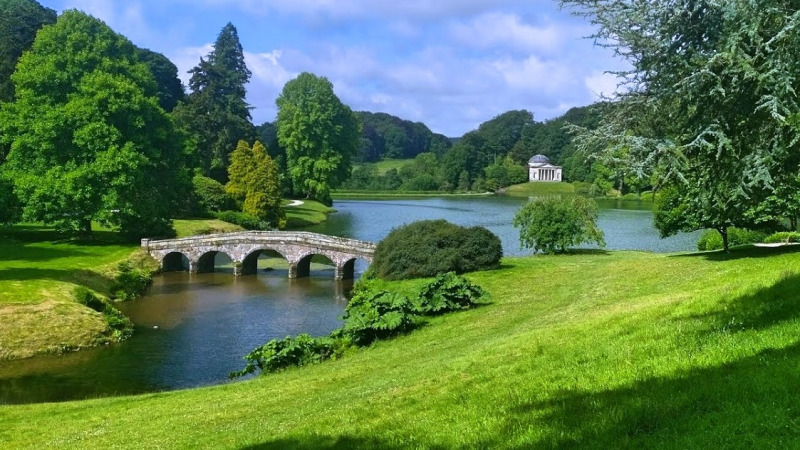 Encounter serenity, awe & beauty on a stroll around the lake of England's most spectacular landscape garden, discovering magnificent vistas, stunning specimens, sunken grottos & classical temples. Admire the perfectly preserved adjacent Stourhead House, a Palladian Mansion that was once home to the Hoare family, before heading back to Bath along narrow lanes, past sheep & stone cottages. Depart 9:00am from your accommodation or outside the Bath Visitor Information Centre, Bridgwater House, 2 Terrace Walk, Bath, BA1 1LN. Depart Bath to discover the most enigmatic prehistoric site in England, enter a 4,500-year-old tomb & unearth the mysteries of England’s lesser known yet greatest stone circle whilst meeting the local sheep. 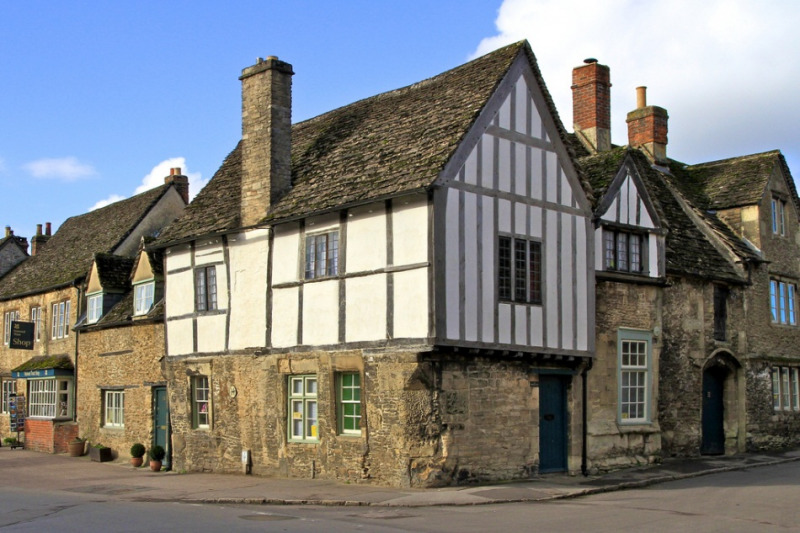 Explore the National Trust owned village of Lacock, to discover medieval streets, an intriguing past and now a modern-day film location for Harry Potter, Pride & Prejudice, Downton Abbey & more. Enjoy a fabulous lunch at a time-worn medieval inn before visiting a grand country house that birthed modern photography, is home to Professor Snape’s classroom & where the memories of the nuns & the serial fraudster who once resided there still linger. Finish the day strolling along the lake of a private, country estate to discover an untouched Cotswolds town, stopping for tea in one of England’s finest coaching inns before heading back to Bath. Depart the city of Bath for an evening of incredible dining, laughter & local stories on a delectable journey to one of England’s most evocative medieval inns, in one of England's most stunning medieval villages. Find yourself immersed in history & atmosphere whilst supping amongst friends & locals at Harry Potter’s ‘Babberton Arms’. Relive bygone days, hear of dog-wheels & cerebral nuns whilst sitting amongst buckled, time-worn timbers on an evening filled with tales, tipples & tastydelights. Every cost is included, including transport, two course dinner at an award-winning hidden gem, two drinks and collection from your accommodation or a central Bath location. Encounter the world’s most iconic prehistoric monument on a personal half-day trip from Bath. Encounter the mysteries of the world’s most iconic prehistoric monument before escaping the crowds on a personal, guided experience of the enigmatic stones. Travel from Bath in a luxurious vehicle with 2-8 guests & an engaging, personable local guide. Skip the queues, audio guides & large groups for a personal, immersive insight into Stonehenge, its past & its incredible story. Return to Bath with memories that will last a lifetime. Every cost is included, including collection and return to Bath in a luxury 8-seater vehicle, entrance tickets, an incredible virtual reality experience, personal guided tour & refreshments. Embark on a small-group journey of discovery from Bath to encounter the very best of the Cotswolds. Explore the idyllic village of Castle Combe, uncover its unique treasures before heading off the beaten track to find stunning countryside & places, unseen by most visitors. Stroll through a grand country estate amongst the sheep, then wander through the historic main street of a stunning Cotswolds town, pausing for a cream tea at a rather unique coaching inn. Escape the crowds & tourist traps for a truly immersive adventure into authentic England. Every cost is included, including collection and return to Bath in a luxury 8-seater vehicle, personal guided tour of Castle Combe & a hidden Cotswolds town and an English cream tea. Delve behind the façade for a deeper, immersive insight into Bath on a journey of discovery that steps away from the obvious & well-worn to explore the hidden, untold & unseen. Escape the tourist throngs & trail for an intimate journey through some of Bath’s most famous locations & beyond, for a relaxed meander to uncover hidden, forgotten stories & unique experiences. Every cost is included, including a personal guided tour, entrances to surprise locations and refreshments. Depart 9:00 am from outside the Royal Crescent Hotel.